Cadmium Wheel Nut for the 1928-31 Model A Ford. Model A Ford wheel Nut in Chrome. 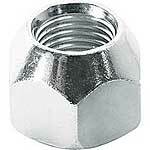 These are the only U.S made wheel nuts on the market. Nuts are vibratory buffed before they are plated to give a smooth finish once they have been plated. Stainless wheel Nut for the 1928-31. Made to the original specs. and buffed to a high luster. You'll never have to replace these. Made in the USA. 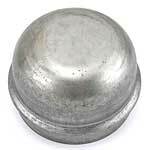 On the late Model T and early 1928 Model A, they used this style of wheel nut. They are chrome plated, with 23 to a set. One of which is the special locking nut. Made in the USA. A little shorter than the later style nuts, these cad plated nuts were used from June to August of 1928. Made in the USA. A tapered stainless washer to make your worn wheels fit better. 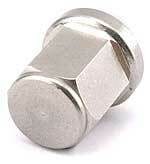 We only recommend using these if the tapered area of your wheel where the wheel nut seats is badly worn. No washer will prevent paint from chipping. Paint in your wheel must be sanded or filled out to keep from chipping. Made in the USA. An economy version of the A-1016-TX slide hammer tool. At last! 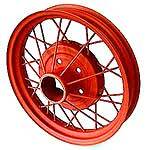 Brand New Model A Ford wheels - Both sizes available. 21" 1928-29 Wheel. Made just like the originals! Wheels are supplied in primer so you can paint to your liking. 19" 1930-31 Wheel. Brand new wheels made just like the originals! Wheels are supplied in primer so you can paint to your liking. If your rim is extremely pitted or rough, we recommend using a rim flap instead of the rim liner. They will protect the tube from the entire wheel. Made in the USA. Sold each. Flap for the 20" Truck Wheel. If your rim is extremely pitted or rough, we recommend using a rim flap instead of the rim liner. They will protect the tube from the entire wheel. Made in the USA. Sold each. Grease Cup 1928-31 Press in style. This little gadget is one that Henry forgot until late in 1931. Goes over the front axle nut and presses into the hub to keep dirt out and grease in! Size 1 7/8" inside diameter. Since the model A Ford never had them originally, you will have to grind down the outside diameter of your bearing retainer washers slightly to use them. Made in the USA. A handy tool for straightening spokes of wire wheels. Will accommodate spokes to 1/4" diameter. 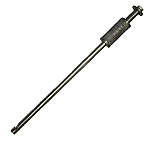 Works like a slide hammer, the end of the rod has a groove in it to hook around the spoke then you slide the heavy slider against the opposite end of the tool to pull outward on the spokes. Spoke Brush. Just the thing for cleaning those wire wheels. You can also let your lady use it to clean the bedsprings. Made in the USA. When repairing old spoke wheels these handy tools make spoke straightening a breeze. Tools are hardened. Made in the USA.